OTTAWA – Paralympic swimming medallist and Minister of Sport and Persons with Disabilities, the Honorable Carla Qualtrough, is among a group of five uniquely accomplished individuals named today as the Canadian Paralympic Hall of Fame’s inductees for 2017, who will be officially inducted at a gala on April 7 in Ottawa. Delta, B.C.’s Qualtrough is entering in the builder category along with Maureen Orchard of Winnipeg, Man. and Archie Allison of Toronto, Ont. Named in the coach category is Ozzie Sawicki of Cochrane, Alta. Para alpine skier Karolina Wisniewska (hometown Calgary, Alta., now living in Ottawa, Ont.) is named in the athlete category. The Canadian Paralympic Hall of Fame recognizes and celebrates those who have made a significant contribution to the growth and development of the Paralympic Movement in Canada. Inductees for 2017 will be honoured at a special celebration and dinner on Friday, April 7 at the Infinity Convention Centre in Ottawa. The evening will also recognize outstanding athlete performances from the Rio 2016 Paralympic Games, as well as excellence in coaching at both the high performance and development levels. Karolina Wisniewska (hometown Calgary, Alta. now living in Ottawa, Ont.) is a three-time Paralympian and winner of eight Paralympic medals in Para alpine skiing. She won two silver medals at Nagano in 1998, two silver and two bronze medals in Salt Lake City in 2002 and two bronze at Vancouver 2010. Wisniewska’s four medals at the Salt Lake City 2002 Paralympic Games set a new record at the time, as the first Canadian winter sport athlete to win four medals at a single Olympic or Paralympic Games. Ozzie Sawicki (Cochrane, Alta.) is a Canadian Chartered Professional Coach who has been involved from entry-level recreational sport delivery through to world-leading high performance sport for over 25 years. Sawicki was the head coach and program director of the Canadian Para Alpine Ski Team from 2000 to 2004, head coach of the Para Athletics program with Athletics Canada from 2009 to 2011 and performance advisor to the Canadian Para Equestrian Team at the London 2012 Paralympic Games. He was Canada’s Chef de Mission for the Sochi 2014 Paralympic Games. Carla Qualtrough (Delta, B.C.) is the Minister of Sport and Persons with Disabilities. A champion in her commitment to addressing inequality and diversity, Qualtrough has practised human rights law at the federal and provincial levels and has volunteered locally, nationally, and internationally, including with the International Paralympic Committee and the Toronto 2015 Pan/Parapan American Games. 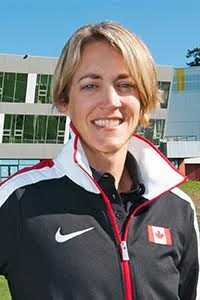 She has been president of the Canadian Paralympic Committee and Chair of the Sport Dispute Resolution Centre of Canada. Qualtrough won three Paralympic and four world championship medals in swimming. Maureen Orchard (Winnipeg, Man.) has revolutionized the sport of wheelchair basketball at home and abroad. She brings more than 30 years of experience and dedication to the sport. Currently the International Wheelchair Basketball Federation (IWBF) secretary general, Orchard began volunteering in wheelchair sports in 1985 as treasurer of the Canadian Wheelchair Sports Association (CWSA). She was a key player in the establishment of the Canadian Wheelchair Basketball Association (CWBA) – now Wheelchair Basketball Canada – in 1993 and served as President of the CWBA from 1993-1998.